A large number of misappropriations committed in the Ministry of National Languages and Social Integration headed by Minister Vasudeva Nanayakkara during the Rajapaksa regime, has been revealed by the Committee on Public Accounts (CoPA). 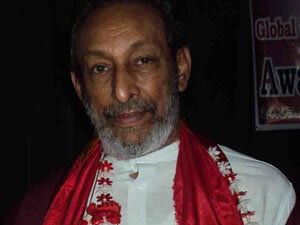 The Committee that was chaired by Dr. Sarath Amunugama has released its report few days ago,where irregularities that had been committed by Vasudeva’s Ministry including financial misappropriations by its officials, unsuccessful implementation of several projects and failure to utilize its funds accordingly and promptly have been listed as the main issues. – Six vehicles out of the 14 fleet had not even belonged to the Minister, that had resulted in heavy rent costs. Meanwhile, a sum of Rs. 1,267,750 had been paid to the consultants who had not submitted any documentation including commence reports, progress reports, interim reports or performance reports. An individual appointed as a Language Consultant had also been appointed as the Chairman of the Institute of National Languages Education ad Training, and he had drawn salaries and allowances applicable to both posts. This misconduct had been reported to the AG for legal action to be taken against the official responsible. The coordination of the language programme and the popularisation of English language in multi-ethnic areas that were proposed for 2007, had not been implemented though a sum of Rs. 8,315,044 had been spent in 2007 as recurrent expenditure. A sum of Rs. 77,417 and Rs. 57,013 had been paid in respect of food and accommodation respectively, in addition to the legitimate allowances payable for the officer relation to eight program despite the approval of the Director Establishments and the Committee has observed that the Ministry has misinterpreted the instruction of thh Director of Establishments. Rejuvenating The State Sector: A Reality Or A Dream? « Justice Wigneswaran – Smarter Than The Smart Patriot?